With seating in the restaurant, pub, patio and terrace, you can choose the atmosphere you want. The pub and terrace provide casually charming atmospheres with seating overlooking the golf course – the perfect locations for lunch after a round of golf or with friends and colleagues. You’ve dreamed of this day for as long as you can remember … now, it’s your chance to plan your perfect wedding. At Irem Clubhouse, we offer beautiful locations for your ceremony, reception and all of the events before and after your big day. If it’s worth celebrating, you owe it to yourself to host it here! We will tailor a custom event for your special occasion, ensuring the proper atmosphere with the right amenities. 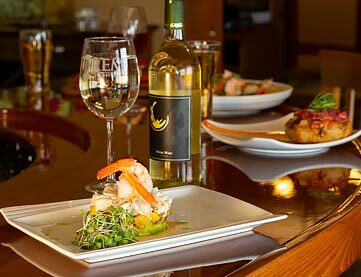 We’ll deliver an expertly planned, stunningly presented menu with elegance and style. Attention to detail is our specialty, and creating the right atmosphere is our priority. With various options including a restaurant, pub and grand ballroom, the Irem Clubhouse Restaurant in Dallas, PA, is the perfect setting to host your wedding, business meeting or family reunion. Our staff will work closely with you to ensure our service exceeds your expectations so your special event is one you’ll remember for a lifetime. 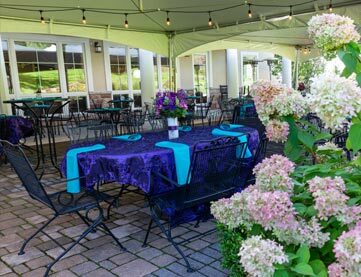 Located in the scenic Back Mountain, the Irem Clubhouse Restaurant provides a breathtaking view of the Wyoming Valley... a stunning setting for a special event, or just a getaway.